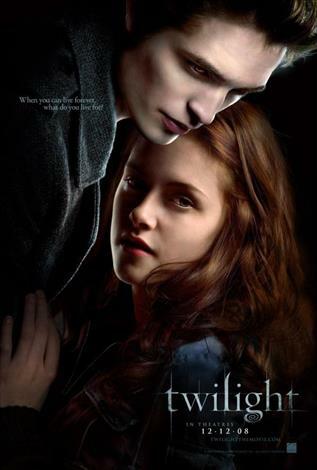 Based on the best-selling New York Times series, TWILIGHT is an action-packed, modern day love story between a vampire and a human, based on best-selling novels Bella Swan (Kristen Stewart) has always been a little bit different, never caring about fitting in with the trendy girls at her Phoenix high school. When her mother remarries and sends Bella to live with her father in the rainy little town of Forks, Washington, she doesn't expect much of anything to change. Then she meets the mysterious and dazzlingly beautiful Edward Cullen (Robert Pattinson), a boy unlike any she's ever met. Intelligent and witty, he sees straight into her soul. Soon, Bella and Edward are swept up in a passionate and decidedly unorthodox romance. Edward can run faster than a mountain lion, he can stop a moving car with his bare hands - and he hasn't aged since 1918. Like all vampires, he's immortal. But he doesn't have fangs, and he doesn't drink human blood; Edward and his family are unique among vampires in their lifestyle choice. To Edward, Bella is that thing he has waited 90 years for - a soul mate. But the closer they get, the more Edward must struggle to resist the primal pull of her scent, which could send him into an uncontrollable frenzy. But what will Edward & Bella do when James (Cam Gigandet), Laurent (Edi Gathegi) and Victoria (Rachelle Lefevre), the Cullens' mortal vampire enemies, come to town, looking for her?